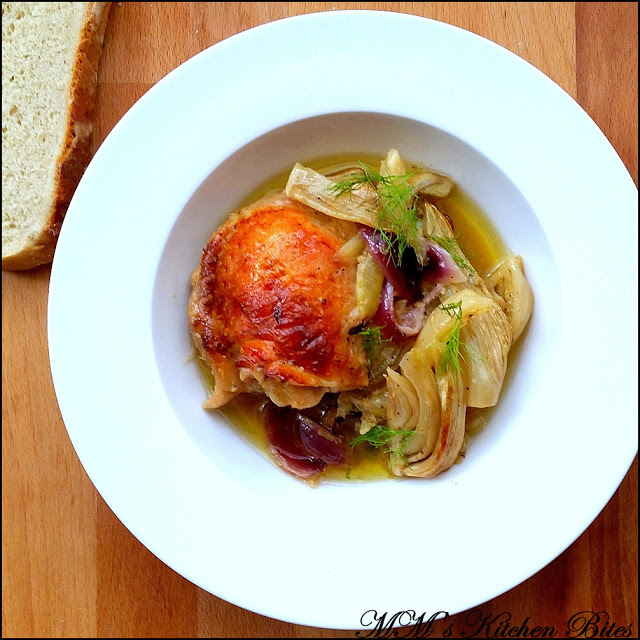 Home chicken Roasted Chicken Thighs with Orange and Fennel…Mein Bhi Nigella!! Roasted Chicken Thighs with Orange and Fennel…I love meals where all you need to do is mix everything up, bung it in the oven and, hey presto, dinner is served…Nigella’s recipes never let you down and this one is no exception (remember the Za’atar and lemon Roast Chicken posted on the blog earlier? 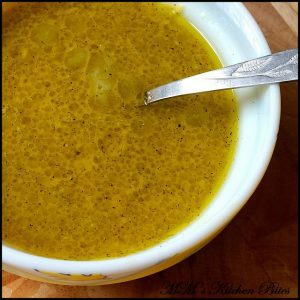 )…as always, slightly modified to suit our taste buds and ingredients on hand…easy enough for a weekday meal and good enough for a weekend meal! 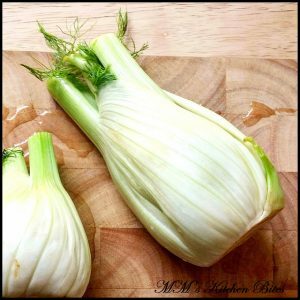 Remove the dill-like fronds from the fennel and save for later, then halve and slice out the core. Cut the bulbs into quarters and then cut each quarter, lengthwise, into 3. Peel and halve the onion. Cut into quarters and then cut each quarter, lengthwise, into 3. 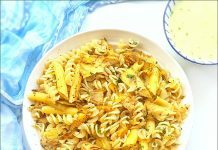 Whisk all the marinade ingredients in a small bowl – oil, Dijon mustard, salt, pepper, orange juice and zest, lemon juice and zest, lemon juice and zest and fennel seeds. Place the chicken, fennel and onion in a baking dish (or a zip lock bag) and pour the marinade all over it. Stir so that everything is coated by the marinade and cover with a foil or cling film. 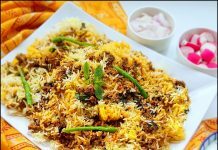 Leave to marinate in the refrigerator – depending on the time you have anything from half an hour to a whole day works. When ready to cook, get the chicken back to room temperature by leaving on the kitchen shelf for about half an hour. Arrange the chicken so that the fennel and onion are at the bottom and chicken pieces are all lined up on top, skin side up. Cover the baking dish with foil and put it in the oven for 30 minutes. After 30 minutes, increase the temperature to 200ºC and remove the foil from top of the baking dish. Drizzle or brush about a tablespoon more oil on the chicken and put it back in the oven uncovered for another 30 minutes or so till the chicken is golden and cooked through. Let it rest for about 10 minutes before serving. 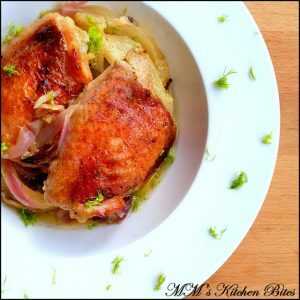 Transfer chicken, fennel and onion to a serving platter. Transfer the juices to a saucepan and over a hob boil over medium heat, stirring till it is slightly thick syrupy consistency. Pour back over the chicken. Garnish with the reserved fennel fronds. Goes well with mash, bread or just a nice crisp salad. Previous articleMy Chicken Cacciatore (Italian Hunter’s Chicken Stew)…a curry is a curry!! 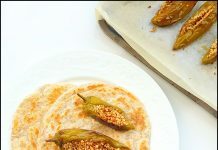 Next articleMaharashtrian Thecha (Spicy Green Chilli-Garlic Chutney)…spike and spark!